TBT – We are not the king… but we know one! 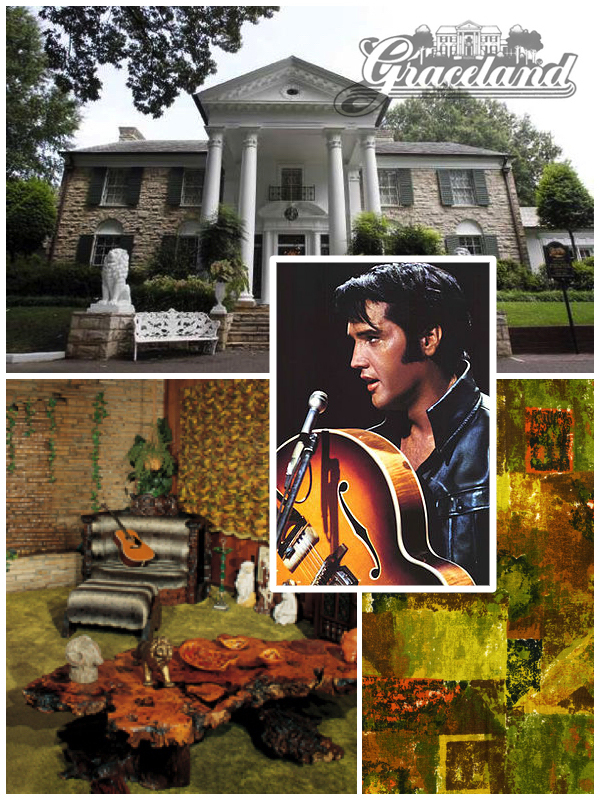 When the drapes in Elvis’ Jungle Room needed to be replaced, Graceland came to us. The pattern was recreated by Design Works International and the fabric was printed by First2Print. If you happen to be in Memphis and stop by to see Graceland, take a selfie in the Jungle room and send it to us!! for more information about how we can help you like we helped the King, visit designworksintl.com or first2print.com for more information. This entry was posted in Elvis, Fabric printing, Fun, Graceland, Home, Out & About, TBT, Textiles, Throwback Thursday, travel, Trend Blogs and tagged Design, Design Works International, Elvis, Fun, Graceland, Home, Interior Design, Nancy Fire, New York City, Textiles, Trend Blogs by Design Works International. Bookmark the permalink.